We enjoyed monstrously large reading clubs this past Saturday with 1,377 kids, 508 volunteers, 176 parents, and 25 teachers & staff. Together they enjoyed our largest reading club weekend in five years! If you would like a glimpse of the fun we had, check out this delightful blog post from volunteer Danielle Davis! We would especially like to thank the seven wonderful magicians who brought "magic" to the reading clubs! They donated their talents last Saturday, so please consider contacting them for your next celebration. At our November 8th reading clubs we'll be celebrating college spirit, so dig out your college sweatshirt or hat and wear your colors with pride. We always look forward to seeing which college brings the most spirit. If you would like to organize a group from your university or alumni organization, please e-mail us at info@readingtokids.org or call (310) 479-7455. Sign up now to ensure your spot by clicking here to RSVP. We expect a lot of new volunteers in November, so please sign up early! Then help spread the word by also joining our November 8th Facebook Event. Want to help out Reading to Kids an additional Saturday this month? Crossword puzzle lovers from everywhere are converging at the Crosswords LA tournament this Saturday, October 18 – with proceeds benefiting Reading to Kids! This year's tournament will be held at the Fowler Museum at UCLA (in the Harry and Yvonne Lenart Auditorium), and Crosswords LA needs our volunteers to help run the event! This tournament raises money for Reading to Kids, so if you can volunteer with them for either the full day or a half day, please email us today at info@readingtokids.org. Full day volunteers (8:30am – 4:45pm) get a free lunch! Let's show our volunteer spirit by supporting their efforts to help us! We extend a huge thank you to the 101 volunteers who have already donated to our 2014 Annual Fund Drive! The October reading clubs were a great kickoff to the Annual Fund Drive, which goes on through the end of the year. You can donate any time! The school that had the largest percentage of their volunteers donate at the October 11th Reading Clubs was Los Angeles Elementary! Congratulations also go out to White Elementary for coming in a very close second place! The school that raised the highest dollar amount on the 11th was Esperanza Elementary! 1) Make a pledge to donate by check or donate online today by visiting our 2014 Annual Fund Drive. Contributions of any amount are greatly appreciated! 2) Show your support by asking friends and family to contribute! Visit our 2014 Annual Fund Drive page and look under the "Help us Fundraise!" header. There you'll find resources such as our handy donor sheet for raising money with your friends and co-workers, a sample email you can easily personalize, and tips for fundraising. You know the positive impact Reading to Kids has. Once you share that with others, many will probably want to donate to us - we just need you to ask! They are offering Reading to Kids supporters 33% off General Admission (a $10 savings) to their current production, Young Frankenstein, the musical comedy by Mel Brooks! Just enter promo code "RTK2014" when you purchase tickets through either of the above websites. If you'd like to see the show with other Reading to Kids volunteers, join us for this Sunday's 3pm show. You can RSVP at our Facebook event to see who else is going. 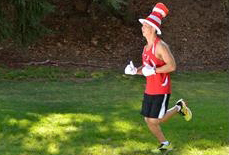 Join Team Reading to Kids in the 2015 ASICS LA Marathon! Be a part of team Reading to Kids as you run in one of the best marathons in the country on Sunday, March 15th. You can run either the full marathon or a half-marathon, and the dollars you raise will go to support our monthly reading clubs. If you or a runner you know is interested in becoming one of our fundraising runners or creating a fundraising team, please email Chris Martin at marathon readingtokids.org for all the details. IMPORTANT NOTE: to register to run on behalf of Reading to Kids, you MUST receive a special code BEFORE registering on the ASICS LA Marathon website. Thanks, and we look forward to seeing you at Crosswords LA this Saturday and at the reading clubs on November 8th!